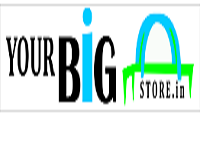 Hi, I was looking for Bose SoundLink Mini II speaker and saw very nice offer on “yourbigstore.in”. As this was new eCommerce site, I was not scared to pay online and choose payment method as cash on delivery. As this was new company, and I was equally scared so called this company customer care multiple time to make sure I get original product and with warranty. I was told that product is going to be completely original and come with Manufacturer(“BOSE”) warranty. I was surprised to see this product is completely fake and this is some local Chinese product. This is not worth 200 rupees. Now I am in the process of recovering money from this company. In case they are not refunding my money ASAP, I am planning to file legal case against this company for forgery and cheating customer. My advice for people, not to get attracted to less price from this eCommerce site and purchase any product. They are gang of big cheats and in the process of making people fool. I am sure they are not scared of law of the land and cheating people in broad day light. Please save money and peace in life. Do not buy from these cheats. Thanks for sharing the info regarding the fake company,i was in the process of purchasing the same. Oh yes same issue with me. Its been over 10 days and absolutely no refund. i have the conversation on email so lets see what happens. will wait for couple of days more. Same issue with me, its been two week and as of now they didn't respond anything on my request for refund. I have all the conversions on the email, now their customer care number is also switched off., will wait for few more days before taking any legal action against them. Did you all received your refund ? Can you please share your contact, we all can file case on this company. Guys, I have already discussed with lawyer for filling case against this company. In case if any of interested, we all can join together and file case. We need to take this steps. These guys this they will cheat and get away.